Teaching isn’t an easy profession. It’s definitely rewarding, but pressure and demands are high. One of the biggest perks for teachers though is the summer holiday. With the school summer holiday break stretched out in front of you, it’s easy to fall into the trap of thinking you have all the time in the world to enjoy it. 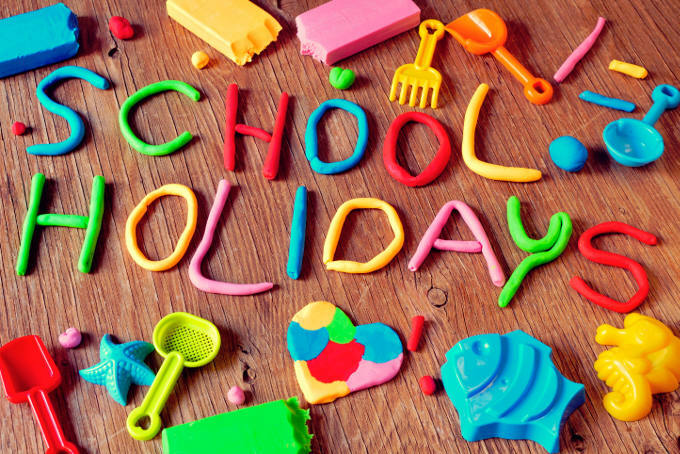 Start your school holiday without any plans and your summer break could pass you by in the blink of an eye. 1 – Sleep – catch up on those zzzzs. After a long school year of early morning starts and late night marking, you deserve some extra zzzzs. Allow yourself a few late starts and some early nights, but don’t get into bad habits and waste the holidays doing nothing. There’s a balance to be had here. 2 – Meet your 9-5 friends for lunch (because you can). It’s payback time. Think of all the times your friends have taken days off during the school term for lazy lunches, while you’ve been stuck in the classroom. 3 – Make the most of the outdoors (but on rainy days catch up on the box sets). You’ve just spent the best part of your year cooped up in the classroom. It’s summer. Go for walks, get to the beach, spend time in your garden. Make the absolute most of fresh air and sunshine. 4 – Catch up on DIY. You’ve got plenty of time to tackle some of those bigger projects you haven’t had time for at weekends. Getting your house in order might feel like a chore, but when those tedious jobs are finished you know how good you’ll feel. 5 – Get back into an exercise routine – there are health benefits, and it will give you energy. Of course you’ll feel virtuous too! 6 – Shake up your menus and practise recipes for healthier snacks to get you through the next school year. When work takes over, menu planning and healthy eating can fall by the wayside. Now you have the time to give your diet an overhaul. Spend time enjoying cooking. Invite friends over to share in your newfound culinary delights. 7 – Delve into your personal development plans that have been shelved throughout the school year. The summer break is the perfect time to think about you, not the classroom. 8 – Don’t leave the next school year’s lesson planning until the last minute. Factor in a few hours a week over the summer to keep on top of the workload. Set yourself small targets and stick to them. You’ll be so pleased you did when your colleagues are stressing out a few days before the start of the next school year. 9 – Do some proper classroom research. With your head focused on getting through the workload all year, you’ve been literally paddling like crazy to stay afloat. Give yourself some breathing space and research some of the ways you can make your next school year work better for you and your pupils. Think outside the box for a change. Renew your resources, your energy and your health.